These are my least favorite post to make (because the graphic took a solid hour to put together) ((I promise I didn't even get distracted or ANYTHING)) BUT these are always my most popular post. What can I say, my reader, like me, like high maintenance things. 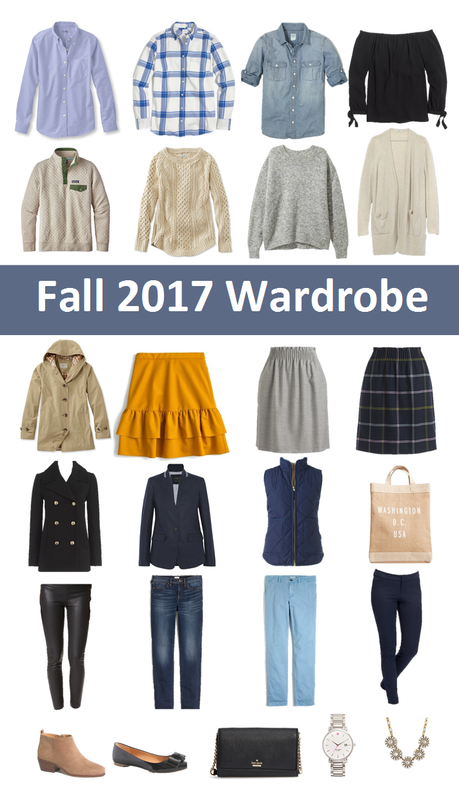 So here I put together all the basics you would need for the fall. Which I paired some cozy shirts, that are not too thick. Because let's be real it still can get a little toasty in the afternoon. Then for the outerwear I used layers that you can easily take off. I love a good vest, and this one will actually keep you warm. As for bottoms, this is the only season I like jeans. Perfect to add a sweater with. And let's be honest sweaters are the sweatshirts of the work wear. I also had some cute skirts for the days that are a little warmer! My hands down favorite thing for fall are *drum roll please* BOOTIES! I wear mine with leather leggings and a cute top!